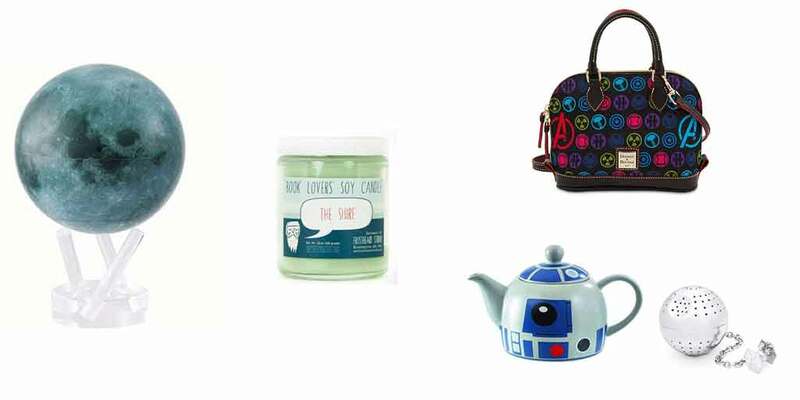 10 Best Gifts for Nerdy Moms: The Ultimate List (2019) | Nerd Much? Mother’s Day isn’t too far away, and if you’re looking for the perfect gift for your nerdy mother or wife, then we’ve got you covered. We’ve included gifts for a variety of interests, so whatever she’s a fan of, you’re likely to find something she’ll love to show her how much she’s appreciated. Also, as a mother of two myself, this is basically my wishlist. Do with that information what you will. You can read on for our list, but first we’d like to say: Happy Mother’s Day to all our Mom readers, and kudos to you for raising another generation of nerds. 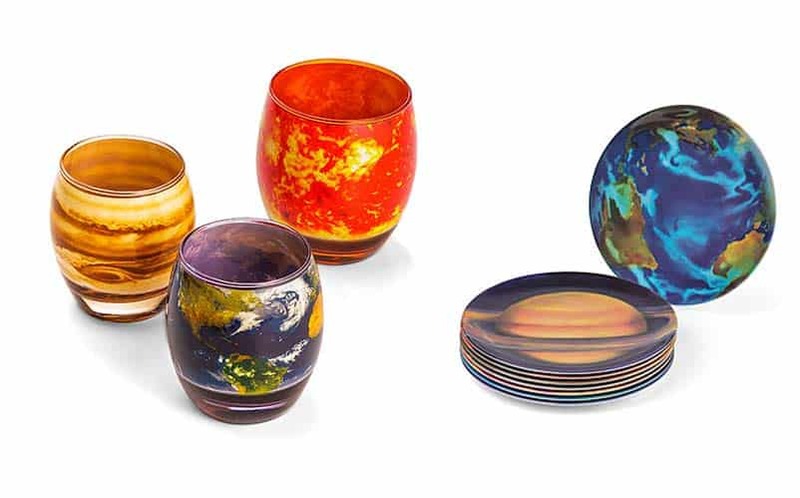 Geek out your mom’s table setting with these gorgeous planetary plates and glasses from ThinkGeek. The plate set features a plate for each of the eight planets, each measuring 10″ in diameter and featuring artwork from Leah Yael Levy. The glasses come in a set of ten – one for each planet PLUS the Sun and Pluto (which will always be a planet in our hearts). The planets are all 8 oz, the sun is 10 oz, and Pluto is 4 oz, and they are made from glass and a high-temperature heat wrap. You could even put LED candles in them for a really cool effect. Plates and glasses are dishwasher safe, though, so make sure to do Mom a favor and wash your dishes. 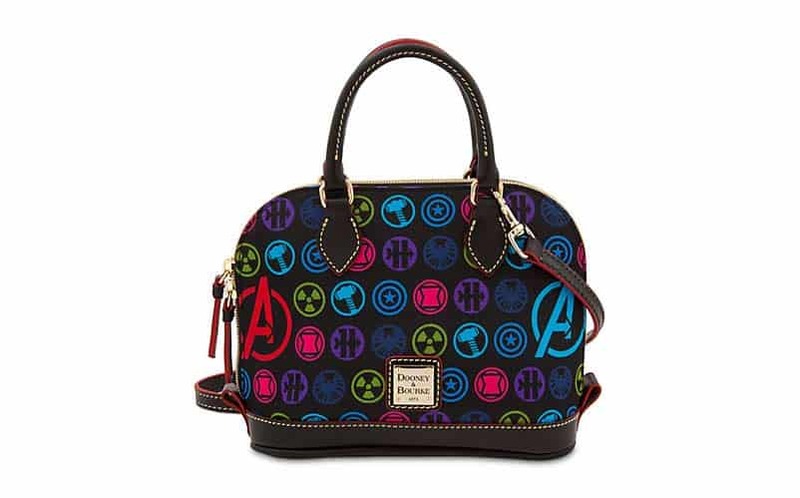 Mom can be fashionable and nerdy with this genuine nylon and leather Dooney & Bourkey bag, patterned with Avengers icons. Icons include Captain America, Thor, Hulk, Hawkeye, Black Widow, and S.H.I.E.L.D. The bag measures 7” H x 8” W x 3 1/2” D, with two leather carry handles and a removable adjustable leather carry strap. The interior is fully lined, with a zipper pocket and two open pockets. With the beautiful contrast stitching, golden and silvertone finish hardware, and embossed metal label on the front, Mom will be proud to carry this Marvel bag. Buy the Marvel Dooney & Bourke Bag here. We know your mom is magic, and now she can carry all her potions in style with this Harry Potter Hogwarts Travel Cosmetic Bag from BoxLunch. The attractive case features three transparent pockets on the inside (one of which is detachable), made from PVC so they will easily wipe clean, and a Hogwarts logo on the outside. It measures 18″ x 8 1/2″ opened and 7″ x 8 1/2″ closed, and includes a hanger on the top so she can easily store it anywhere her travels take her (her room at the Leaky Cauldron, perhaps). 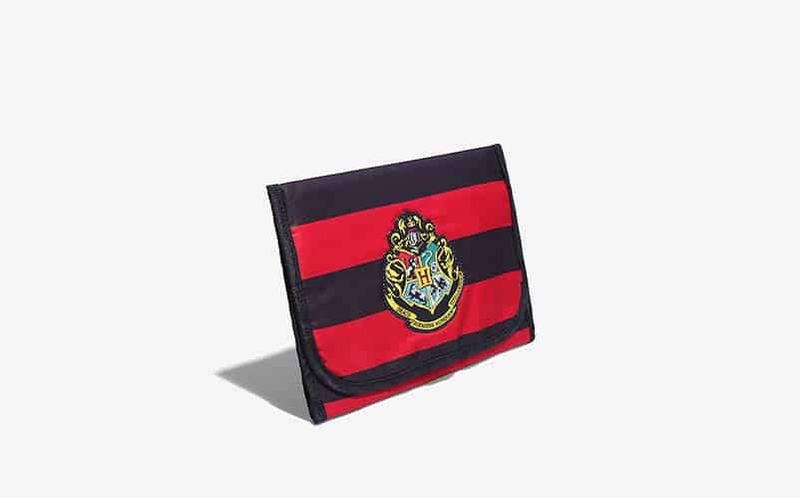 Buy the Harry Potter Hogwarts Travel Cosmetic Bag here. See more Harry Potter gifts here. We’ve talked about these delightfully nerdy candles before, and I just want to take this opportunity to reiterate how amazing they are (I can personally attest to how good they smell). 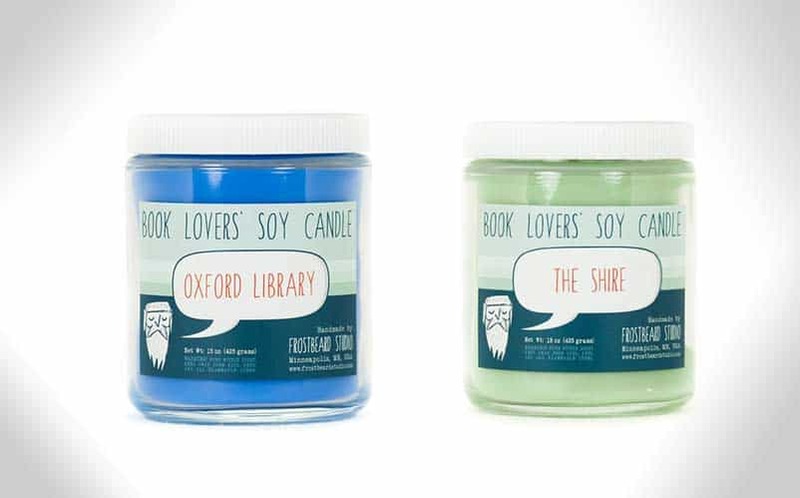 If Mom is a bookworm, these are the perfect gift; they come in a variety of scents and attractive colors, from general book-related themes to specific creations from her favorite books. The soy wax and cotton wicks make for clean-burning candles, and the jar is reusable and recyclable. Each candles is 15 oz, and measures about 4″ high and 3″ wide; there are also tealights and wax tarts available. 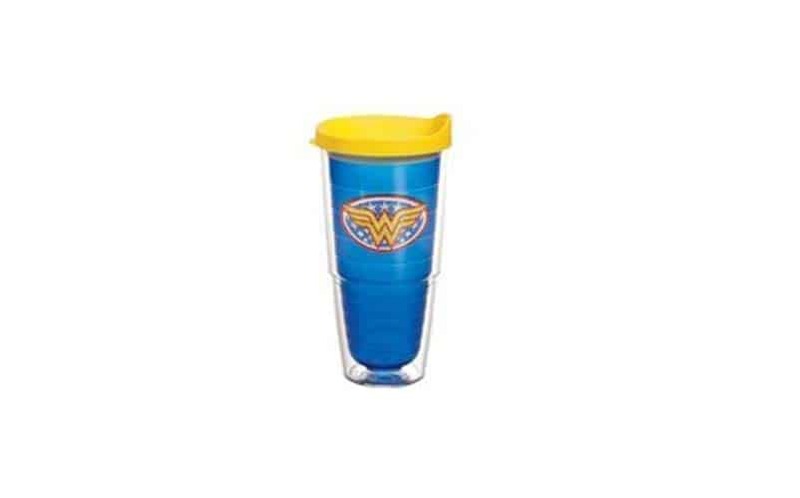 Remind Mom that she’s your Wonder Woman with this 24-ounce tumbler, perfect for a woman on the go. It’s suitable for both hot and cold drinks, and is well-insulted to keep them at the proper temperature – so she can use it for coffee or even wine (the two essential mom beverages). It’s BPA-free, made in the USA, and comes with a lifetime guarantee; it’s also microwave, dishwasher, and freezer safe. Whatever her beverage of choice, help mom activate her superpowers with this fantastic tumbler. Buy the Wonder Woman Tumbler here. 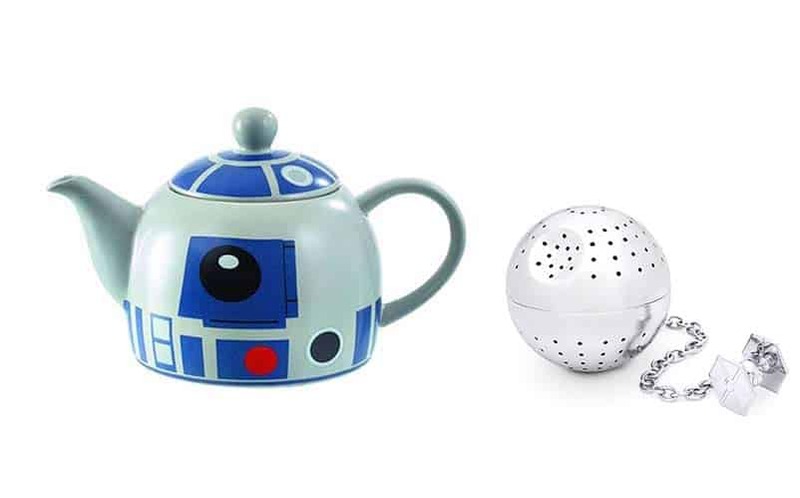 Maybe the mom in your life likes to relax with a nice hot cup of tea; if that’s the case, consider this R2D2 ceramic teapot and Death Star tea infuser. We’re not sure if making tea is one of R2D2’s functions in the movie, but for brewing a pot at home, this is definitely the droid you’re looking for. Simply pour in boiling water (don’t use it on your stove top), fill the stainless steel Death Star with your favorite loose-leaf tea, and let it steep. Then do all of the cooking and housework so she can drink tea and marathon the original trilogy; you know she deserves it. Your queen can carry Westeros around her neck with this officially-licensed HBO’s Game of Thrones infinity scarf. 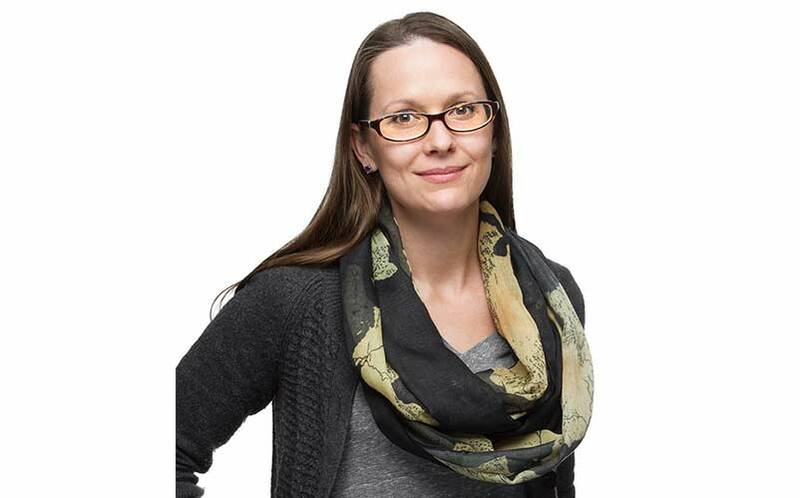 The ThinkGeek exclusive is 100% polyester and measures 20″ x 36″ (72″ of fabric doubled over). We know Westerosi geography can be a little overwhelming, so make sure she has this scarf with her while reading the books or watching the series so she knows exactly where everything is located. The colors are completely neutral, so it will go with any outfit, so she can remind everyone daily who’s the Khaleesi. Give mom this awesome globe to add a uniquely nerdy touch to her home decor. The globe itself is slightly larger than a softball, and measures about 7″ tall including the easy-to-assemble three-pronged base. 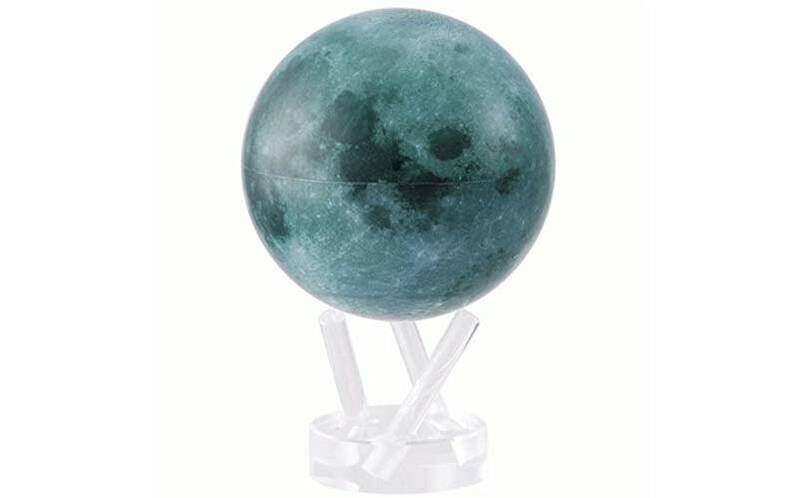 It is beautifully handmade, with a clear acrylic shell and nontoxic fluids, and accurately displays our moon’s topogrophy. It rotates silently on the base, and is very relaxing to watch. Best of all, it doesn’t require any batteries or cords; it is solar-powered and works with ambient indoor light, so she can display it anywhere. We’ve chosen to feature the moon in this list, but there is a version for each of the planets, in case Mom has a particular favorite. 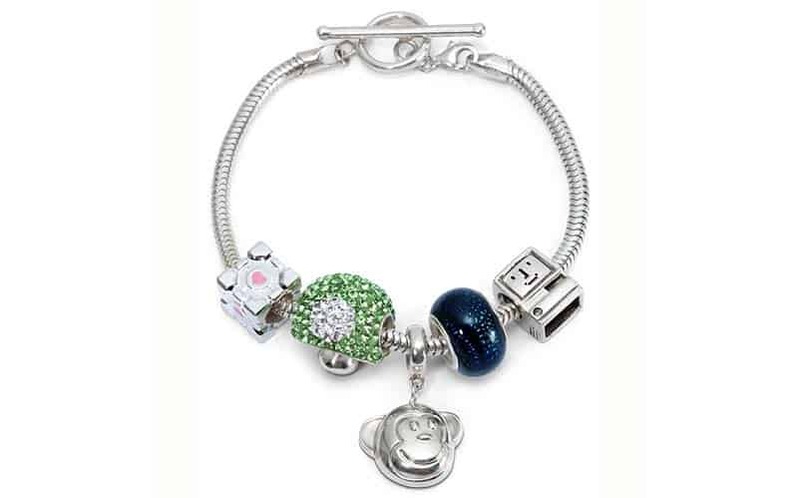 Forget Pandora; sure, they’re pretty, but get her a charm bracelet that’s uniquely suited to her nerdy interests this Mother’s Day (of course, Pandora beads will fit this bracelet, and vice-versa). There is even a Super Mom charm! The sterling silver bracelets come in several lengths and feature a toggle closure for easy on/off (struggling with a lobster claw one-handed FTL); they will hold about 7-9 beads. The toggle bar, however, attaches with a lobster claw so you can easily add or remove beads. There are a number of beads to choose from for near-endless possible combinations. You could get Mom/Wifey the gift that keeps on giving, so she’ll be reminded that you love her precisely once a month. 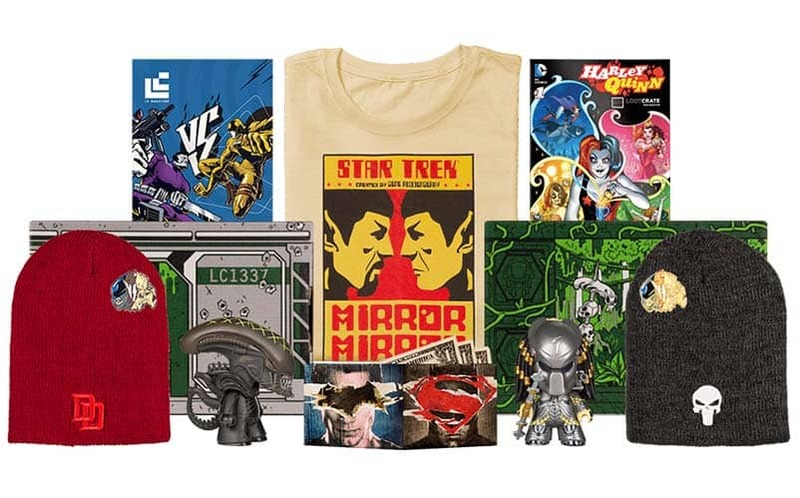 In case you’re not familiar with Loot Crate at this point, it’s a monthly mystery box that features a different nerdy theme every month. There are also more specific crates, such as Loot Anime or Loot Gaming (or Loot Pets, if she loves her dog that much). The recurring subscriptions come in 1 month, 3 month, 6 month, and 12 month plans, and they promise at least a $45 value in every crate; so, at $13.95 or less per crate, that’s a pretty good deal. Buy her a Loot Crate Subscription here.